At Columbia Law School, classrooms are the most important rooms on campus. Our students are training to become leaders for the world and the intellectual resources that abound in our classrooms simply cannot be matched anywhere else. The breadth and depth of the curricular offerings at Columbia Law School are exceedingly vast and uniquely robust with respect to many of the most compelling areas of interest in legal scholarship. Like the practice of law at the highest level, our curriculum is global, interdisciplinary, and rigorously practical. Columbia Law School is “a very exciting and dynamic place.” The curriculum is very heavy on legal theory “with a dash of practical, just for show,” and the “breadth of course offerings” is staggering. There are countless centers and programs specializing in every­thing from law, media, and the arts to European legal studies to tax policy to gender and sexuality law. “Getting on a journal is remarkably noncompetitive.” “Being in New York affords the opportunity to participate in almost any internship you could imagine.” Programs in international law and intellectual property law are reportedly excellent. Columbia is also “a corporate lawyer factory” and the “best place in the country for bud­ding transactional lawyers.” Public interest law is yet another strong suit here. Students who are involved are “a bit clique-ish” but, if you are in the clique, you’ll have access to a wealth of opportunities as well as a tremendously generous loan repayment assistance program.The “unbelievable,” “unmatched” faculty at Columbia is “amazing” “across the board.” “Columbia does a good job mixing the young, relatable rising superstars with older, more practiced professors.” Virtually all of them “make class interesting,” and “they’re the number-one reason to come to CLS (besides the prestige, of course).” Professors also “make a huge effort to be approachable” and “are happy to give career-related advice or answer questions.” The administration isn’t as beloved. Happier students note that there are some “really caring people” on staff. However, the general sentiment seems to be that management is somewhat “disdainful.” When the time comes to find a real job, “employment prospects are unbeatable and the alumni network is extraordinarily strong.” Career Services is “very helpful in offering support in a variety of capacities.” Columbia boasts a “high placement rate in big law firms” and “the opportunities for working in prestigious government and sought-after public interest positions are unparalleled.” “It’s Columbia,” candidly explains a 2L. “The name buys you a lot.” About the only complaint we hear is the contention that “the employment focus is a little too New York–centric.”The facilities here are far from great. “Everything is very modern” and “the building is serviceable and clean, but it is ugly.” Classrooms “aren’t terribly comfortable,” and “They’re not as pretty as what you’ll find at other Ivy League law schools.” “The library is one of the best in the country” as far as the resources on offer are concerned, but its aesthetic “is absolutely hideous,” says an appalled 2L. JD/Ph.D., 7 years; JD/MA, 4 years; JD/MBA, 3 or 4 years; JD/MFA (Arts Administration), 4 years; JD/MS Urban Planning, JD/MS Social Work 4 years; JD/MS Journalism, 3 1/2 years; JD/MIA in International Affairs, 4 years; JD/MPA in Public Administration with Columbia, 4 years; JD/MPA in Public Affairs with Woodrow Wilson School at Princeton, 4 years; JD/MPH in Public Health, 4 years. 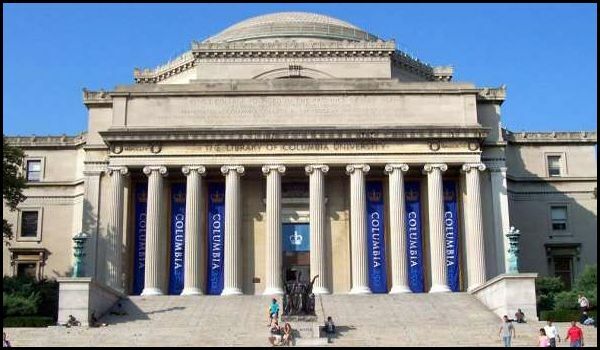 Franklin D. Roosevelt - former President of U.S.
Want more info about Columbia University School of Law? Get free advice from education experts and Noodle community members. I know all top tier law schools take a holistic approach to judging an applicant, but what LSAT score and GPA do you think would be the bare minimum to get into Columbia Law? This information would be helpful in constructing a realistic list of law schools to apply to. So first a bit of background on the LSAT: the highest possible score is 180. The lowest is 120. An average score is about 155. And although most people think the test is curved; it is not.